The innovative aircraft fabric, Dymetrol, is the award winning solution for aircraft seating. Dymetrol offers unmatched capabilities for lightweight aircraft seating design that provide supreme comfort, space savings, durability, and design flexibility. Dymetrol is made of Polyester whcih means it’s 100% recyclable. In addition, it reduces the amount of carcinogenic polyurethane foam required and aids in lighter seating which can reduce fuel or energy consumption. 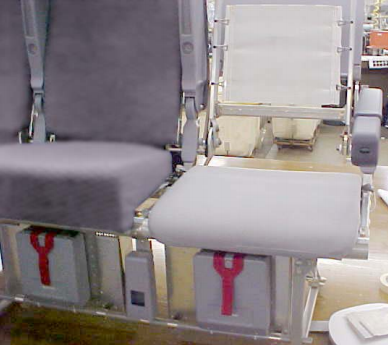 Dymetrol aircraft fabric and seating textile systems allow designers to remove bulky, costly metal seat pans. These heavy materials are replaced with a sturdy and comfortable aircraft fabric or suspension membrane, reducing aircraft weight and allowing more flexibility and creative aircraft seating design. Rising fuel costs have caused lightweight seating to become a critical priority for the airline industry. 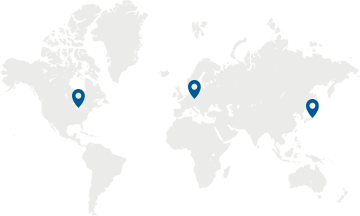 Acme Group has been dedicated to finding a superior solution. 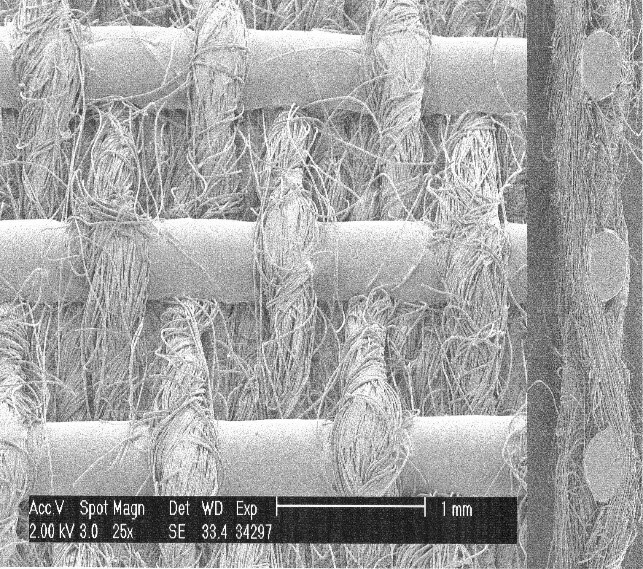 The answer to this directive was our proprietary aircraft fabric Dymetrol. Although Dymetrol had been used for passenger comfort for decades, this was the paradigm shift the industry needed to fully integrate our aircraft fabric into countless designs. As light-weighting efforts ramp up, the Dymetrol suspension seating systems is the perfect solution for fuel and space savings without compromising comfort or safety. By utilizing the Dymetrol suspension system(s) in seating designs, Manufacturers are able to reduce weight approximately 8-12lbs or 5.9KG per seat set. The first airline to incorporate Dymetrol reduced aircraft weight so significantly they were able to add three more rows (or 18 seats). Simply by reducing the aircraft weight with the Dymetrol lightweight aircraft seating system, the airline was able to add passengers and save on fuel without retesting the plane. One thing every passenger does when traveling on an aircraft is experience aircraft seating. At the Acme Group, we have worked for 30 years to perfect the aircraft seat by helping our partners create comfortable aircraft seating solutions. We achieve this objective by utilizing our highly technical aircraft fabrics and seating suspension textiles. 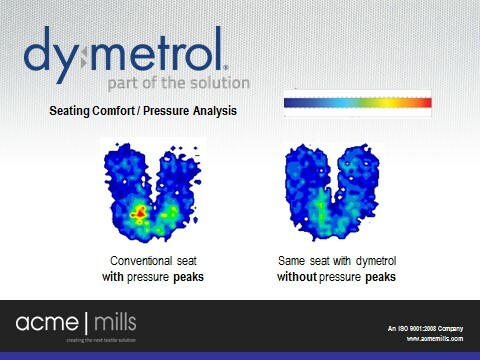 Testing shows that, when properly applied, the Dymetrol seat suspension system reduces pressure points and allows for a more comfortable traveling experience for the passenger. At the same time this system is creating weight savings, increasing durability, and freeing up valuable space. Another benefit to the Dymetrol material is unsurpassed durability; historically aircraft seating fabrics have a short life span. Because of the innovative polyester/Hytrel bond points in the Dymetrol, our aircraft fabric lasts longer than any other functional aircraft fabric on the market. Acme Group works closely with our customers in the aircraft seating industry to ensure proper attachment and installation, ensuring accessibility for maintenance, repair, and operations (MRO) engineers. When installed properly Dymetrol is a simple solution for speedy service at MRO facilities, allowing engineers to fix and make necessary changes to the aircraft seat inline using the simple tools on a standard aircraft seating engineer’s tool belt. Dymetrol suspension seating system is constructed with a sateen weave of polyester yarn and the DuPont patented Hytrel, an exclusive coextruded sheath core yarn. The yarns are heat set together creating bond points that act as spring sets. This produces a suspension system that is stronger than any standard spring set system and will not deform or sag over time like current conventional suspension systems. 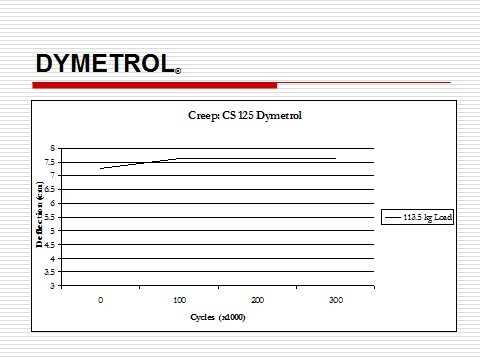 Dymetrol is the only aircraft fabric or seating suspension material that can be used on the seat bottom and passes all force download tests without failing. These superior aircraft fabrics and fabric seating suspensions are built to pass dynamic crash tests and all smoke, flame and toxicity tests. The Dymetrol suspension system has won multiple CrystalCabin awards for innovation at the industry’s premier trade show in Hamburg, Germany. 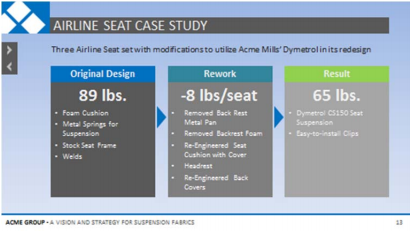 In an effort to move away from large amounts of bulky, heavy carbon-loaded foam, the Dymetrol suspension system makes it possible for aerospace seating manufacturers to reduce weight while increasing passenger comfort levels. Our Acme engineers work closely with seat designers to provide all the technical assistance and prototyping needed to make a seamless transition. The Acme Group is a collection of textile, converting and fabric companies serving the business-to-business needs of industry. Acme Group draws on the engineering, technical experience and capabilities of Acme Mills, Fairway Products and Great Lakes Filters the main members of the collective.